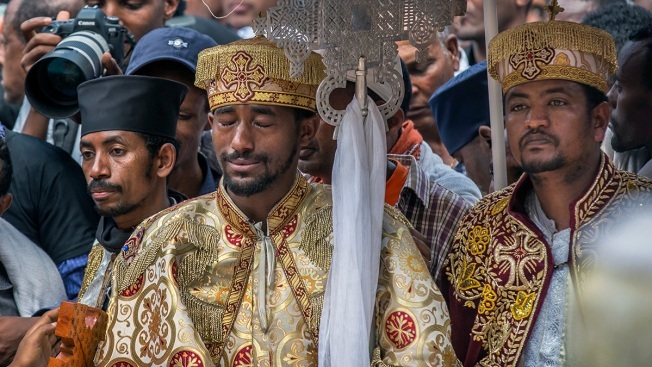 A priest cries at a mass funeral at the Holy Trinity Cathedral in Addis Ababa, Ethiopia, Sunday, March 17, 2019. Thousands of Ethiopians have turned out to a mass funeral ceremony in the capital one week after the Ethiopian Airlines plane crash. Officials have begun delivering bags of earth to family members of the 157 victims of the crash instead of the remains of their loved ones because the identification process is going to take such a long time. 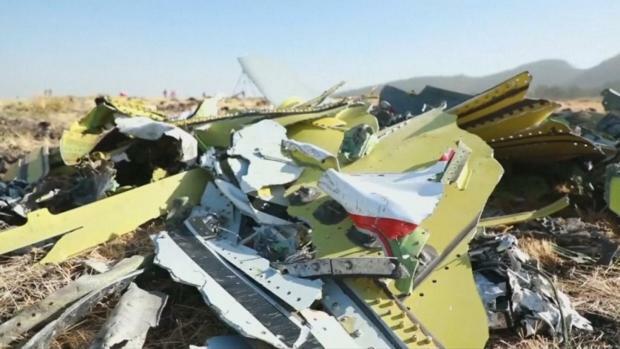 Preliminary information from the flight data recorder of an Ethiopian Airlines plane that crashed a week ago and killed 157 people shows "clear similarities" with an earlier disaster involving the same kind of Boeing aircraft in Indonesia, Ethiopia's transport minister said Sunday. The Ethiopian community in Aurora, Colorado, planned a Sunday night get-together to celebrate a historic day, but that celebration became bittersweet with the news of an Ethiopian Airlines plane crashing and killing everyone on board. Boeing's CEO Dennis Muilenburg said in response to the report from Ethiopia's transport minister that the company "continues to support the investigation, and is working with the authorities to evaluate new information as it becomes available." Boeing's CEO Dennis Muilenburg said in response to Moges' comments that the company "continues to support the investigation, and is working with the authorities to evaluate new information as it becomes available." 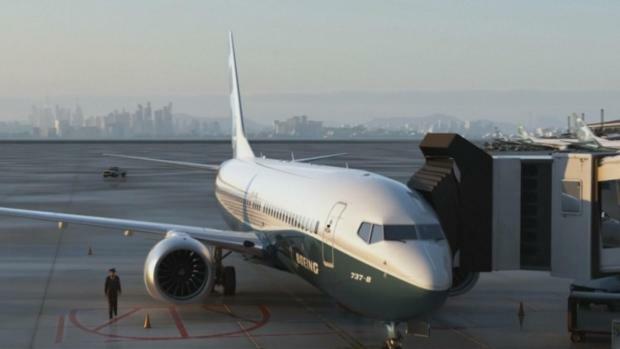 He expressed sympathies for the families affected by the crash and noted that the company was finalizing its development of a "previously-announced software update and pilot training revision" for the 737 Max 8 jetliners. Associated Press writer Angela Charlton contributed.